Getting east-west in Seattle is hard. The Madison Rapid Ride Plus corridor project could be a big improvement for Seattle, and make it easier for everyone to get east-west. 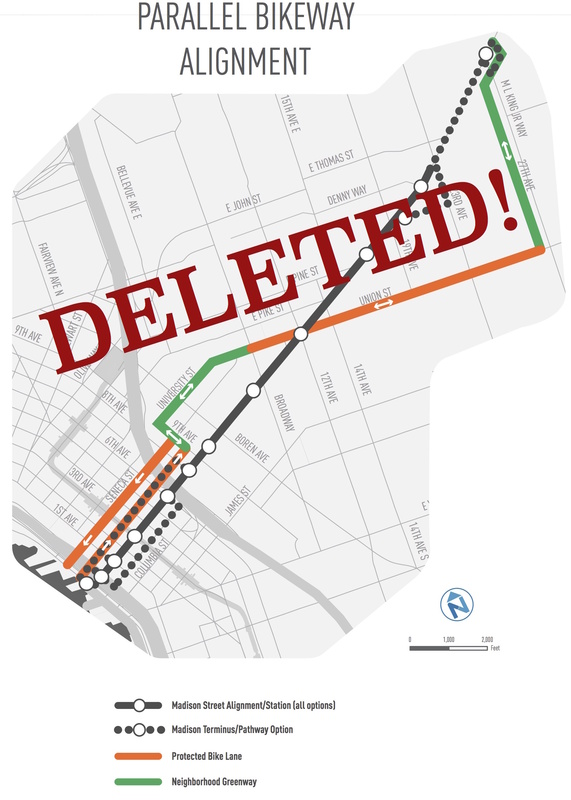 Unfortunately, while the project’s latest draft looks good for people who walk and take transit, it no longer includes a safe nearby bike route. Now the city is going back on its promises. The latest draft of the Madison project will not build a safe nearby route on Union St for people to bike. Tell SDOT Director Scott Kubly and the Madison team: Keep the levy’s promises and fund and build a safe route for people to bike as part of the Madison Rapid Ride project.